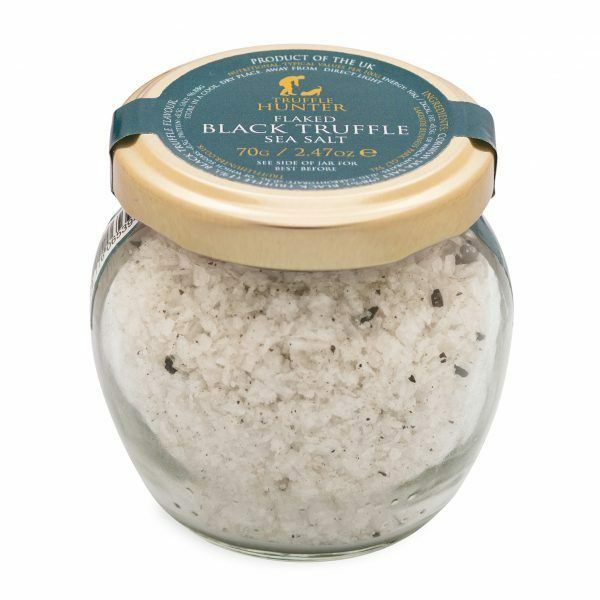 A tiny sprinkle of Flaked Black Truffle Sea Salt is the easiest way to deliver that fabulous truffle flavour. Simply sprinkle a tiny amount onto the finished dish to create a truffle WOW! factor. Every home chef should have a jar! 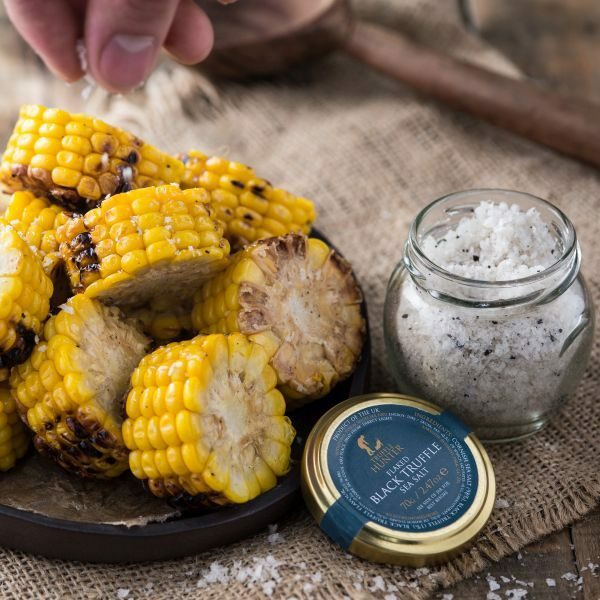 This delicious Truffle Salt is made with the finest Cornish Flaked Sea Salt, which is expertly infused with the finest Black Summer Truffles. Use sparingly to compliment any gourmet dish. We recommend trying with pasta, eggs or steak to greatly enhance the natural flavours. Jar size is 70 grams. Ingredients: Flaked Cornish Sea Salt, Black Truffle, Black Truffle flavour. 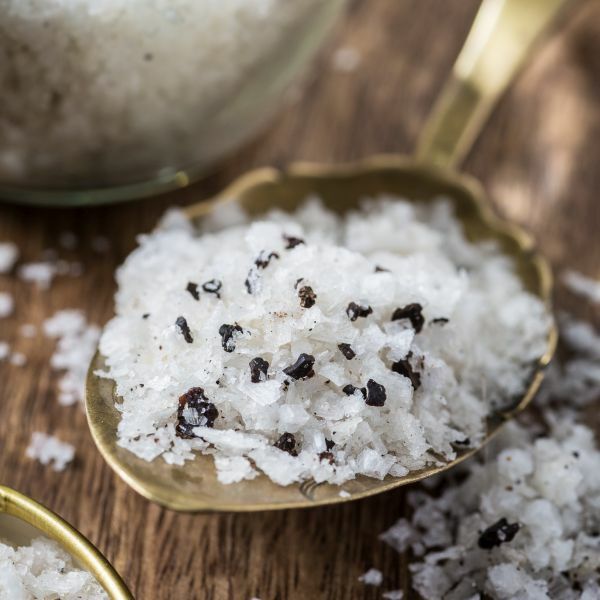 To get the best from your truffle salt, use it as a finishing salt adding it at the end of cooking.